Visiting BBB’s Product Development department for the first time is like entering a labyrinth of rooms containing desks strewn with all kinds of stuff. 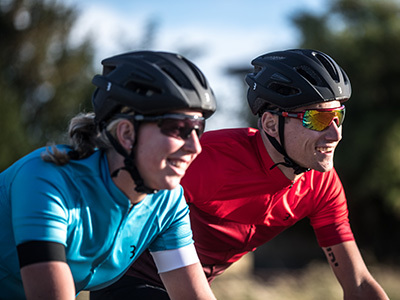 From samples of cycling apparel to helmet and sport glasses components. There’s no doubt that designers work here! Somewhere between the many drafts and 3D prints, sunlight creeps through the window blinds and falls onto a lens of BBB’s most ambitious sports glasses: the Commander. These are the offices of product manager Vincent Jol and product designers Yannick Lange and Sebastiaan Bowier. This is where drafts, drawings, and prototypes of the newest addition to BBB’s range of sports glasses can be found. It’s a long heritage of successful and affordable sports glasses. These guys can tell me exactly how an idea on paper ends up on your nose. It’s August 2017 when the design team gather to discuss a new model of glasses. It has no name yet, but the team intends to make it their new top-of-the-line model. These glasses will replace two previous models, yet the new product will in no way be their successor. This is a brand-new design built from scratch. Before the team starts designing, however, they examine current market trends. 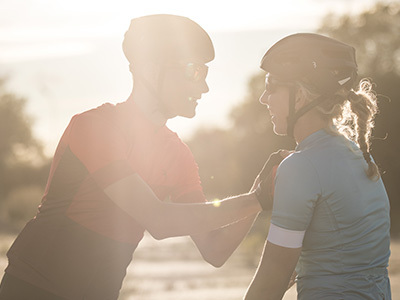 What is important to sports cyclists nowadays? What are their demands and how can these be met? The team finds that all sports glasses that are available today are “one size fits all”, to the detriment of the comfort they offer. There’s got to be a solution to this – precisely the challenge the team is seeking. Many sports glasses are manufactured in one size only. They’re supposed to “fit” any head, any nose. 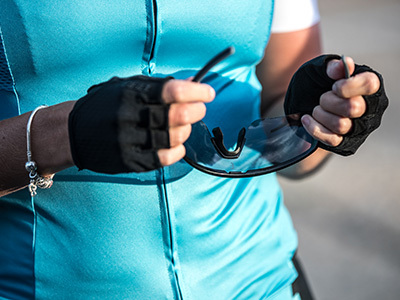 True, the majority of cyclists will find these glasses to fit: manufacturers can target an “average size”, just like they do with caps and headphones. But there’s a difference between “it fits” and “it is comfortable.” So the team comes up with a solution. The glasses are equipped with something fitting only a true top-of-the-line model: a system that allows you to adjust the length of the temples. The system is combined with an adjustable bridge, which BBB uses on several models. With every click, the temples are lengthened or shortened by 5 mm. And not unimportantly: the temples shouldn't fall out during use, yet they should be replaceable. When presented with the idea, manufacturers admit that adjustable temples are quite ambitious – they’ve never heard of anything like it. So they join forces to further develop this new system. Needless to say, a top-of-the-line model requires lenses of suitably high quality. The Commander is thus fitted with lenses that are not only scratch-resistant, but also have anti-condensation and water-repellent properties. What’s more, the Commander comes with two spare lenses – one transparent and one yellow. The frame itself is made of Grilamid, a synthetic material deemed by the designers to be “indestructible”. This material is used in most BBB glasses. Apart from the conception of all functional components of the glasses, the team also works on a new design for the product. Exacting as always, the designers intend to evoke BBB’s characteristic design without compromising functionality or comfort. Round shapes and metallic parts adorn the mood boards on which the design is born. Next, the team uses their digital pens to turn their ideas into drafts. Every millimeter of the design is drawn tens, if not hundreds of times. It’s all about the details. The glasses are distinctly styled. They have to both offer and radiate a sense of freedom. There isn't a single straight line: every part has a curve in it, no matter how subtle. The visor, which consists of a single lens, offers a free and complete view of the surroundings. The lens seems to “float” in front of the frame, so it feels like you’re not wearing glasses at all. Details on paper are nice, but you don't know if something really works until you actually wear the glasses. When the drafts are rendered into a 3D design, the Commander truly comes to life. A small room behind a white door next to the designers’ offices, is where months’ worth of research, drafts and hard work finally come together. The room houses the 3D printer that in only a few hours will produce the first real-life Commander. Everyone gets to wear the test model. Colleagues, ambassadors, and connoisseurs alike are super-excited about the wearing comfort and the unparalleled view. Next in the designing process is a host of factory-made test models, followed by countless more rounds of finetuning the design. The team won’t rest before every imperfection is polished away and the Commander is worthy of the label “top-of-the-line”. It is a process that involves months, if not years of work on the design, especially when developing a brand-new system.  It’s deeply satisfying when everything comes together in the final product, and cyclists can enjoy the result just as much as you.